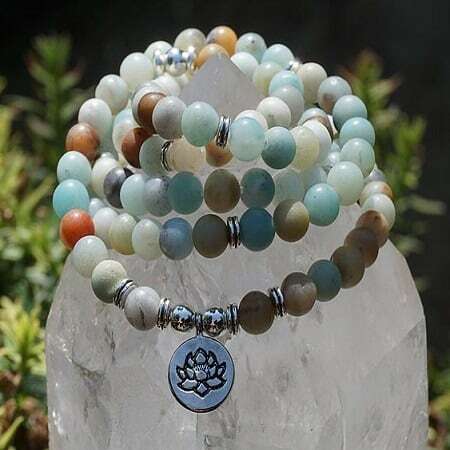 Amazonite stone represents prosperity. This “hope” stone is important to have when starting a new business or financial venture. 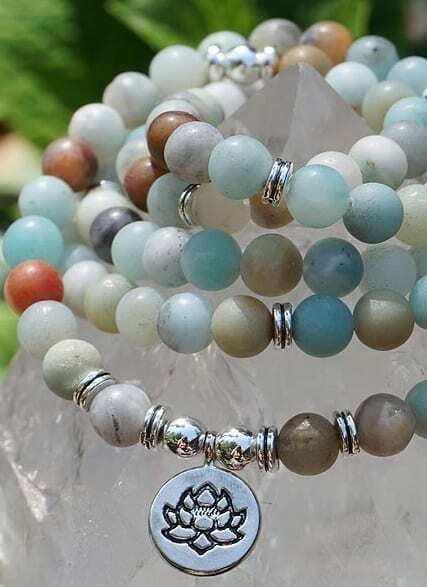 Amazonite’s energy is gentle, friendly, calming, and a soothing stone, used for self-expression, artistic creativity and healing. This is a great stone for communication, confidence and leadership. It reduces self-damaging behavior, increases self-respect, grace. 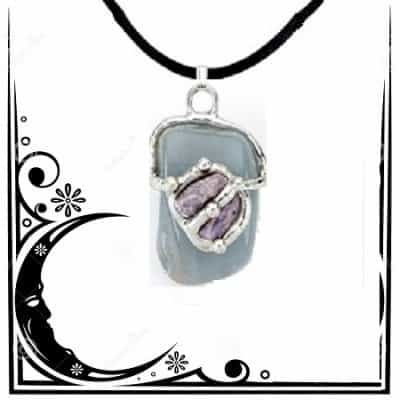 A gentle friendly, calming, soothing stone, which opens Throat Chakra, Heart Chakra, and Solar Plexus Chakra. 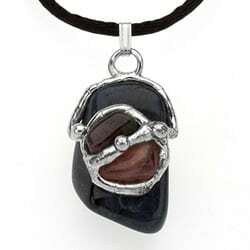 Reduces self-damaging behavior, increases self-respect, grace, self-assuredness with communication…therefore, it is a stone for trust. 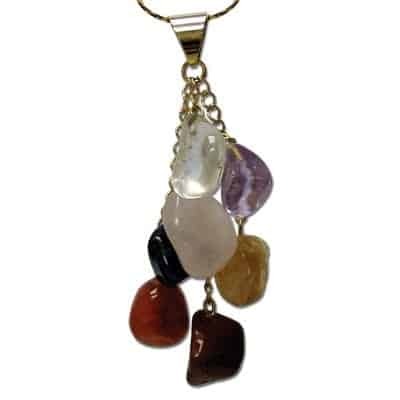 These beautiful, 8mm beads come with complete instruction for using, cleansing and working with these precious stone prayer beads along with an organza pouch for storage.